Whether you choose one for your engagement ring or wear them for everyday glamour, stack rings are fun, fashionable and FABULOUS. 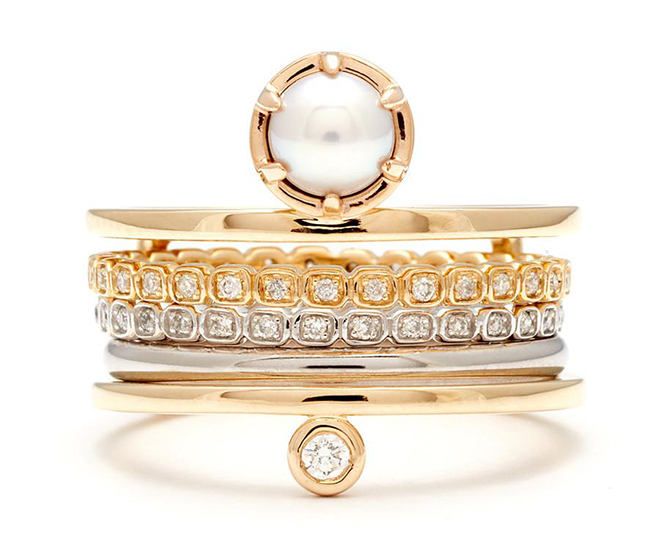 These 5 stack rings and wrap rings are among our favorite styles for brides. We hope you’ll agree! Have some fun and spice things up with your bridal accessories by mixing metals, finishes and gems. 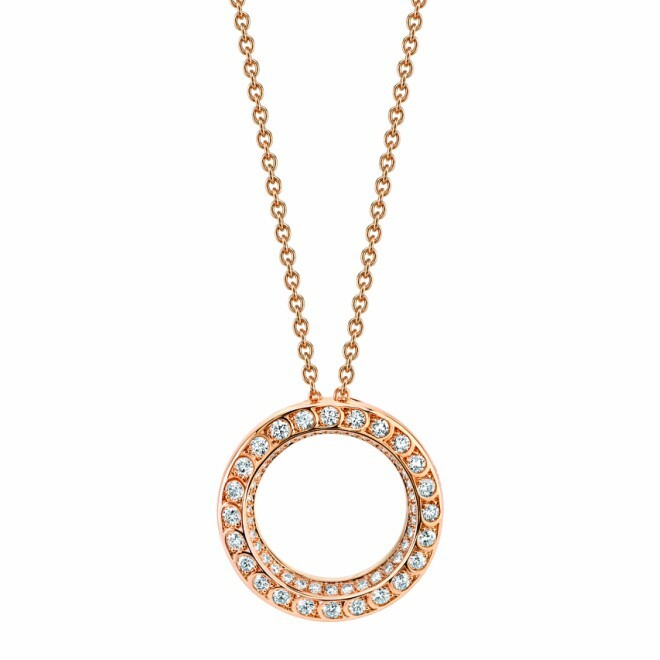 Rose gold, yellow gold and silver mix things up with crystals, diamonds, turquoise and colored gems, in this glimpse of a bridal jewelry trend we’re crushing on…hard! Picking out an engagement ring can be overwhelming with such a wide range of styles, cuts and stones to choose from. 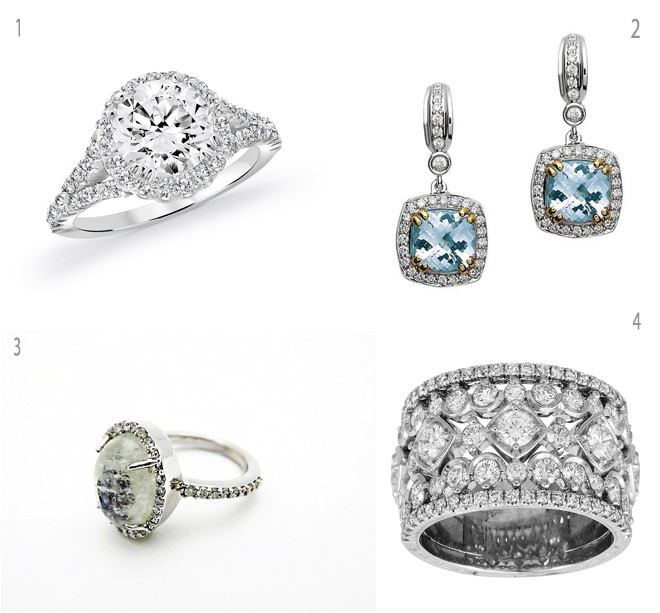 Check out these trending bridal jewelry designs for inspiration before you stop by one of these expert Houston jewelers. Congrats! You’ve found your “Oh yes!” dress. Now it’s time to add a little (or a lot) of sparkle to your big day with the right jewelry for your bridal gown. 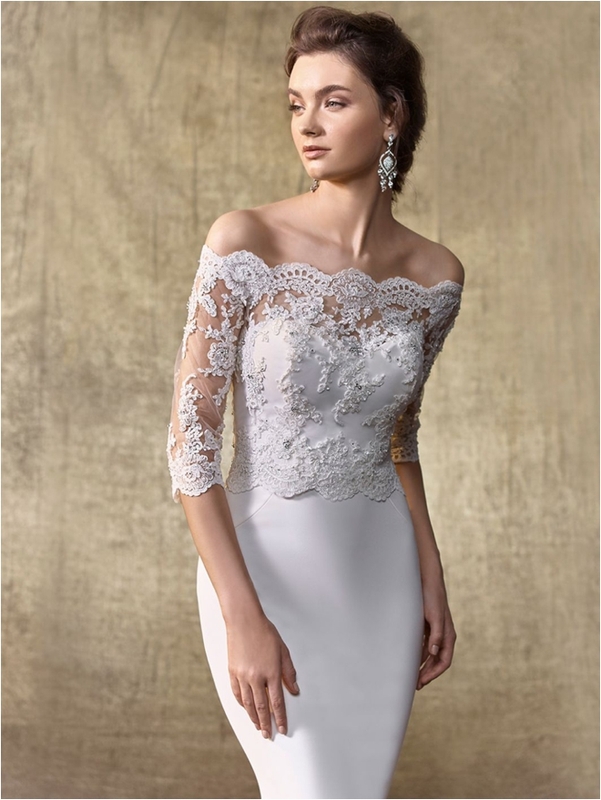 You’ll want pieces that complement your wedding dress neckline and the overall aesthetic of your wedding. But the most important thing is that you remain true to yourself and feel comfortable with the jewelry pieces you pick up. Read on for our recommendations! This type of dress leaves a lot of room to cover. The options are limitless. You can wear long queenly earrings with a sparkling choker. Or precious diamond stud earrings with a statement necklace. Whatever you decide make sure it doesn’t overwhelm your beautiful gown. Bare shoulders and a loose, upswept bridal hairstyle offer a great opportunity to try a bold, statement-making chandelier earring. Going for a more Boho OTS look? Opt instead of an on-trend “ear crawler,” which will catch the light every time you turn your pretty head. Don’t forget to add a little sparkle to your hair as well. A delicate hairpin will echo your earrings, while still keeping the “less is more” mantra. Skip the necklace altogether. There’s no need to be extra when you’re already the bride. Play around with what kind of earrings fit with your wedding vibe: long, elegant chandelier earrings, delicate vintage drop earrings (perfect for this coming season’s Victorian-inspired bridal gown styles) or sparkly studs. There’s no right or wrong option, as long you feel comfortable and stay true to yourself. 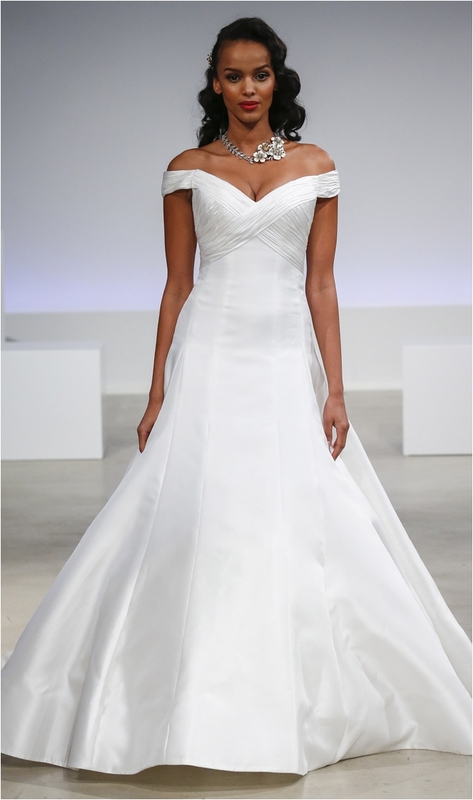 This super-popular wedding dress neckline leaves infinite options. A plunging V neckline naturally makes you look taller and slimmer. Stick to a thin, delicate lariat necklace (IF your bodice is not illusion mesh), or, if you’re feeling bold, go with a eye-catching jeweled cuff, or add a unique hairpiece to your chic, dramatic ponytail, or romantic, tousled braid. Whether it’s a one-of-a-kind engagement ring, heirloom-quality wedding bands, beautiful bridal chandelier earrings or a dazzling diamond bracelet you are searching for, our I Do! 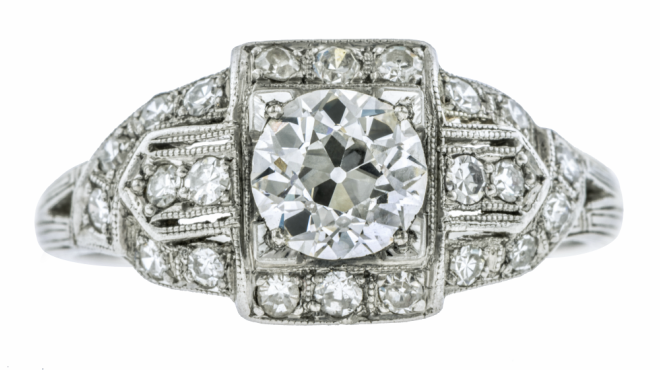 Wedding Soiree jewelers have the perfect pieces to complete your wedding day look. Four of Houston’s leading jewelers — Donoho’s Jewellers, Nazar’s Fine Jewelry, Eklektic Studio and Lewis Jewelers — will be showing an array of stunning wedding jewelry for brides and grooms, and for every taste and style, including platinum, 18K and 14K gold engagement rings, custom handcrafted items and bridal accessory jewelry. 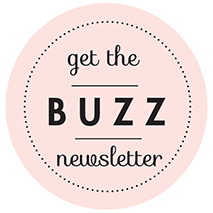 Scroll down for a sneak peek at our I Do! 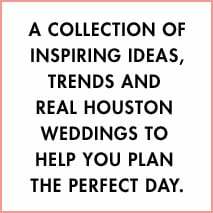 wedding jewelry exhibitors’ fine wares, and purchase your advance-sale tickets to Houston’s ONLY luxury wedding event, coming to The Corinthian on Tuesday, Feb. 28, from 6 to 9 p.m. Tickets will sell out, they always do! Bonus: Purchase your tickets by 11:59 p.m. this Friday, Feb. 17, and you could WIN a $700 engagement shoot from Adam Nyholt Photography!! Our winner will be notified next week, and announced live at the I Do! Wedding Soiree. Wouldn’t it be lovely if it were…YOU?